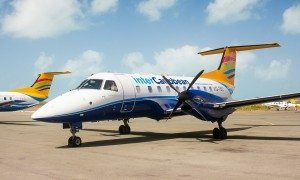 Chairman of interCaribbean Airways Lyndon Gardiner has issued an apology to the traveling public via the airline’s social media for recent flight delays and cancellations experienced by its passengers across their network. Gardiner says that the root cause was an unforeseen delay of several weeks in the training schedule for newly hired flight crew after their service provider experienced a protracted delay in their flight simulator being operational. 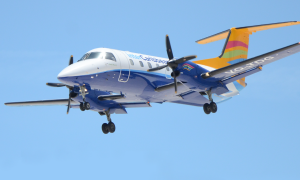 “interCaribbean has enjoyed success and growth over the past five years by implementing our strategy to create a network across the region and the installation of a second hub in Tortola to facilitate connections to the Eastern Caribbean. “On the flip side of our success is the inevitable need to rapidly train and deploy additional flight crew during a period when there is an acknowledged global shortage of pilots. Nevertheless, we were able to hire the additional personnel and arrange the required training, including the flight simulator sessions with our usual service provider. Unfortunately, after the training began, their simulator equipment broke down for a protracted period and the delay severely impacted our ability to keep to our intended schedule. In retrospect, we probably should have planned for the worst and moved more quickly to reduce the flight schedule. Chairman Gardiner, had been away on business when the situation developed, returned to establish a recovery plan. 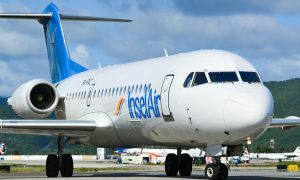 Rather than continuing adhoc flight cancellations, a decision was taken to reduce the flight schedule with effect from November 11th until December 15th in order to give the new flight crews and currently in the onboarding process, sufficient time to complete the required training and release to line flying.